January SOM - Lace Background as sort of a back drop to my sentiment. I could not believe how fast this card came together! Just be sure your background stamp is dry before applying the sentiment stamp. I love how soft and pretty it turned out. 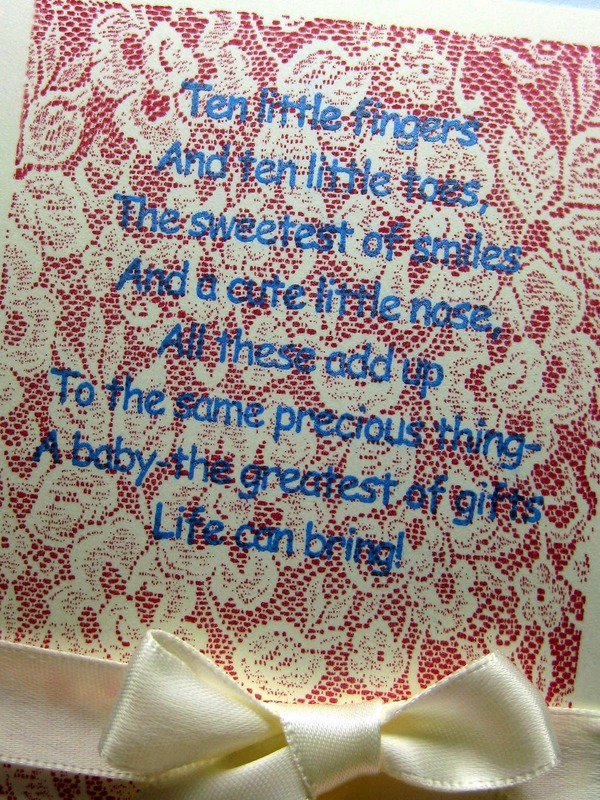 Hope it brings a smile to the mom-to-be! Don't forget you can now order from our brand new store! Just click on the stamps shown below. 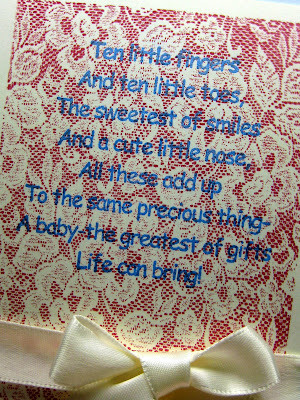 What an adorable card for one lucky Mumma to be. So sweet and precious. Love the soft look! I agree, it is a sweet baby card. Love the lace background. This sentiment is lovely! Darling card, Jenny! I love the lace stamp. 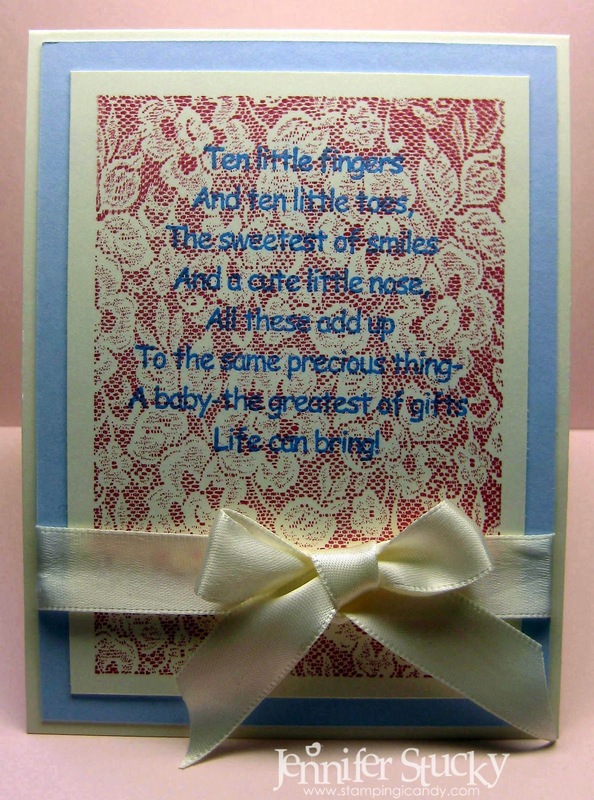 Such a cute and sweet card. I can not believe how real that lace background looks...it's amazing! I swear it looks like fabric! Stunning card! Love all things lace. The mom-to-be will love it too. It is a brand new Monday! A Bird in Hand...or Fancy Rose Frame!